Nicole Kidman has been the star of many of our favorite movies from Batman Forever to Moulin Rouge! and many more. It is hard to think of her getting plastic surgery for any reason, as we have all known this beautifully blonde, pale skinned bombshell to appear familiar to us. However, she has never claimed to have any cosmetic procedures done to give us any answers. While promoting her new movie, Nicole Kidman appeared to have a puffy face at a film festival she was attending and her face appeared different somehow to those in attendance. This has been easily explained by hormones if she is trying to have another baby, however, nothing has been said by Nicole Kidman or her husband, Keith Urban, whether this is a true statement. The dilemma of whether it is plastic surgery or not may continue until Nicole Kidman herself puts them to rest, however her fans have pointed out that a year ago. She had tried Botox, but she said that she would prefer to be able to move her face and look her age. This hasn’t been the first time that rumors have said that she has received plastic surgery, and it may not be the last. But thus far the actress hasn’t confirmed or denied anyone’s suspicions. 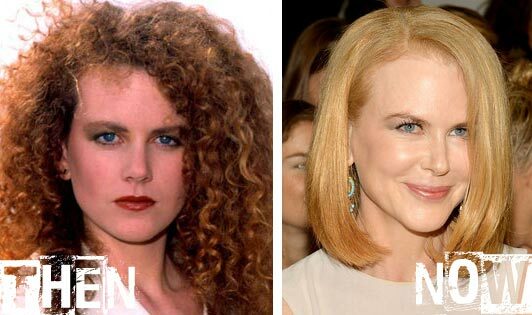 Many of Nicole Kidman’s fans don’t mind that she is a little puffy and are writing it off as aging since she is not only fair skinned but also a natural redhead in her mid to late 40’s. Most of her fans are more focused on her movie rather than her looks, her new film has been described as boring, awful, and stupid. The movie, Grace of Monaco, is the story of former Hollywood Star Grace Kelly’s crisis of identity and marriage in the 1960’s. While critics love the movie, her fans are hot and cold about it in general saying it isn’t the best movie she has ever done. Whether Nicole Kidman’s face appears puffy due to plastic surgery or hormones will remain a mystery until her or Keith Urban let us in on the secret themselves. However, it may just be aging that is causing the strange way she looks. Nobody knows for sure, but we are all waiting for the news to slip on what the reason truly is.